The difficulty of coping with an animal companion’s injury or death is compounded when you suspect that a veterinarian’s negligence or abuse may be to blame. You can help protect your animal before tragedy strikes by looking for a skilled and caring veterinarian (ask for references from trusted friends and humane organizations, and call the local Better Business Bureau, Chamber of Commerce, and State Board of Veterinary Medical Examiners to check for complaints), seeking a second or third opinion about your animal’s diagnosis before proceeding with surgery or treatment, and carefully monitoring your animal’s stay and treatment at veterinary clinics. Never hesitate to ask questions about your animal companion’s treatment, and never leave your animal overnight at a veterinary hospital unless you are convinced that it is necessary and in your animal’s best interests to do so. If your animal companion becomes sick or injured at a veterinary clinic, immediately take him or her to another veterinarian for a second opinion and treatment. Ask for copies of your animal companion’s medical records from the original veterinarian, and show these to the second veterinarian. If your animal dies, consider having the body necropsied to determine the cause of death. 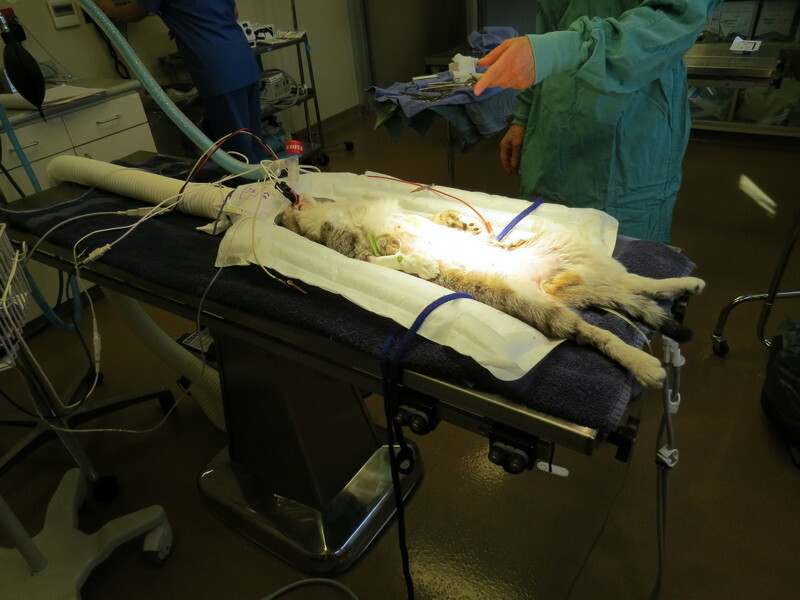 There are several steps that you can take when you suspect that veterinary malpractice has led to your animal companion’s injury, sickness, or death. First, send a concise, accurate, and factual written complaint (including what happened, when, and where) to your state veterinary licensing board asking for an investigation and a response. Follow up on your written complaint by calling the licensing board. You should also submit a complaint to your local veterinary medical association asking for an investigation. Any veterinary clinic should be able to provide you with the addresses for the state licensing board and veterinary medical association, or you can search the Internet or look in the phonebook under state agencies. File copies of your complaints with the Better Business Bureau, local and state consumer affairs offices, and the local animal control agency or humane society as well. You can also file a small-claims suit against the veterinarian by filling out a form and paying a small fee at your local courthouse. You are responsible for presenting your own case in small-claims courts, so be sure to have copies of all your animal’s medical records (including the results of the necropsy, if performed), statements from other veterinarians who examined your animal after you suspected negligence, and copies of your veterinary bills. Although small-claims courts award only “out-of-pocket” expenses or the cost of replacing your animal companion if he or she dies, the attention generated by your case may be enough to prevent a veterinarian from acting irresponsibly in the future. You can also hire a lawyer to help you bring a malpractice lawsuit against the veterinarian or negotiate a settlement. As with a small-claims suit, you will need documentation to back up your case, including statements from expert witnesses (such as veterinarians, pathologists, and others with special professional knowledge of the issues under consideration). You may find that many lawyers hesitate to take on these cases because the potential for a large monetary award is low. In most veterinary-malpractice cases, awards are limited to the costs incurred plus the cost of replacing a companion animal with an animal of similar “value.” Some state courts, however, are beginning to acknowledge the unique nature of the bond shared between humans and their animal companions. These courts also permit the recovery of “reasonable sentimental value” in some instances. To find a good attorney, ask your local bar association for a recommendation. Regardless of what action you decide to take, consider contacting local newspapers and television stations. Your story could help protect other animals from harm. Incidents in which animals are seriously injured or even killed at grooming salons are alarmingly common. Groomers have been observed and even caught on video physically and emotionally abusing animals. The best way to prevent accidents is by using a groomer who makes house calls so that both your animal companion and the groomer are under your supervision. If that’s not possible, ask to be present during the grooming. Check to see whether the groomer you are considering is a graduate of a training program and a member of any trade organizations. Although groomers are not required to be licensed, an association with groups like the National Dog Groomers Association often indicates professionalism. Evidence of participation in industry seminars is also a good sign. Find a groomer with experience. Groomers who have many years of experience working with animals will be more confident in their skills and know their limitations and should be more comfortable with animal behavior than those who have less experience. Any reputable grooming salon should have at least one veteran groomer on staff. Request references from other clients. Ask if any animals have been injured or died in the salon’s care. Also check with the Better Business Bureau to see if any complaints have been filed against the facility. Request that your dog be hand- or air-dried. Cage dryers can malfunction and inadvertently be left on, leaving your animal companion with no escape from the heat. Be sure to alert the groomer to any health issues that your animal companion may have. Brushing removes dirt and dead hair, stimulates circulation, distributes natural oils throughout the coat, and provides you and your animal companion with a fantastic bonding opportunity. Using a flea comb will help alert you to the presence of any flea activity. Regularly checking for lumps, parasites, wounds, and other abnormalities is a great way to catch potential medical problems before they become serious. Check for unusual odors and inflamed skin, which can indicate the presence of infection or mites. Overgrown nails can lead to injuries of the footpad, walking difficulties, and elongated blood vessels in the nails. Your veterinarian can show you the proper way to trim nails. When trimming your animal companion’s nails, check for cuts or foreign matter between the toes. Use toothpaste that is specially formulated for dogs and cats. If your animal companion doesn’t like having a toothbrush on his or her teeth, try wrapping some gauze around your finger instead. Depending on your animal companion’s breed and activities, baths may or may not be necessary. If you do bathe him or her, use lukewarm water, rinse well, and consider putting cotton in his or her ears in order to prevent water from getting in and causing infection. Be sure to remove the cotton as soon as you’re done. You can help prevent grooming accidents by contacting your local and state representatives and pushing for stronger regulations in the grooming industry. Lives can be saved and tragic accidents can be prevented through laws that require groomers to use only dryers that must be reset after a period of time rather than those that reset without a break, laws that set time limits on tethering and establish standards for the types of tethers that may be used by groomers, and laws that prohibit the use of sedatives or tranquilizers. If your animal companion becomes injured at a grooming salon, you can file a small-claims suit or a lawsuit against the groomer or salon. Remember that a story about your animal companion’s injuries on a local television station or in the newspaper can help prevent future tragedies. Public awareness is a powerful tool. 1) Sunday Today, “Wendy Diamond of Animal Fair Magazine Talks About Pet Salon Safety,” narr. Lester Holt, NBC, 20 Aug. 2006. 2) KFSN-TV, “Dog Dies From Cage Dryer at PETCO, Lawsuit Filed,” 28 Jul. 2011. 3) Josh Kovner, “Groomer Charged in Dogs’ Deaths,” Hartford Courant, 19 Aug. 2006. 4) WKYC, “Dog Dies After Grooming in Mentor,” 3 Sep. 2014. 5) Kathleen Miles, “PetSmart Sued for Puppy’s Death After English Bulldog Was Allegedly Strangled,” The Huffington Post, 9 Apr. 2012. 6) Natalie Singer, “Dog’s Injury Has Anguished Owner Looking for Answers,” The Seattle Times, 2 Feb. 2007. 7) WNDU, “Dog Dies Getting Nails Trimmed at Mishawaka PetSmart,” 13 Mar. 2015. 8) WFMZ-TV, “Family Says Pug Died After Trip to PetSmart for Grooming,” 5 Feb. 2015. 9) WPTV, “Woman Says Dog Badly Cut at Groomer,” 20 Oct. 2014. 10) WPLG, “Dog Requires Stitches After Owner Says Groomer in Aventura Cut Pet,” 8 Aug. 2014. 11) KTXL-TV, “Man Accuses Groomer of Strangling Dog,” 10 July 2014. 12) WTAE, “Pet Owner Says Dog Passed Out Due to Groomer’s Mistake,” 18 Jun. 2014. 13) WTAE, “Pet Owner Upset after Groomer Injures Her Dog,” 31 May 2014. 14) KGO-TV, “PETCO Settles With Shih Tzu’s Family After Alleged Grooming Injuries,” 20 May 2014. 15) Meg Fraser, “Groomer and Pet Owner at Odds Over Injured Dog,” Cranston Herald, 30 Jan. 2013. 16) KHOU, “Cypress Man Says PETCO Injured Dog During Grooming Session,” 25 Jan. 2012. 17) WCPO, “Dog Owner Blames Pet’s Death on Local Groomer,” 4 Feb. 2013. 18) Kate Shellnutt, “Austin PETCO Allegedly Loses Dog During Grooming Session,” Chron.com, 18 May 2012. 19) WSB-TV, “PETCO Employee Fired After Rough Grooming Video Goes Viral,” 4 Mar. 2015. 20) NBC 6, “Dog Groomer Accused of Hitting Dog,” 19 Sep. 2014. 21) Fox 29, “Dog Owner Catches South Philly Groomer Kicking Cage on Camera,” 30 Dec. 2014. 22) KSPR, “Springfield Groomer Is Fired After She Throws Dog Into Wall, Killing It,” 6 Sep. 2013. 23) KBAK/KBFX, “Dog Groomers Under Scrutiny, Including 1 in Kern County,” 7 May 2012.